The time between getting engaged and picking up you wedding gown can be a long process. I do hear from brides saying they were surprised at how long the process can take. Don't wait too long before starting so you don't have to rush or feel stressed! 9 months to 1 year prior: Begin your gown research. Book your first appointment and download photos of ones you like and bring them, or make a Pinterest board. 6-9 months: Start shopping and narrowing down your favorites. Order your dress no less than 6 months prior. 5 months: Order bridesmaid dresses, veils, headpieces, and other accessories. 3 months: Schedule your first fitting. Be sure to bring "the shoes" and any special undergarments. Practice moving around to see how manageable walking around on your wedding day will be. 4-5 weeks: Have your second fitting. Set up an appointment for steaming your gown. 1 day to 1 week: Pick up your gown! Don't forget to have fun! Another wedding gown shopping tip is to have a price range in mind before you head into a store, so you don't waste time trying on dresses you can't afford or that will blow out your budget early on in the planning. Also, read the fine print so you know what to expect along the way. 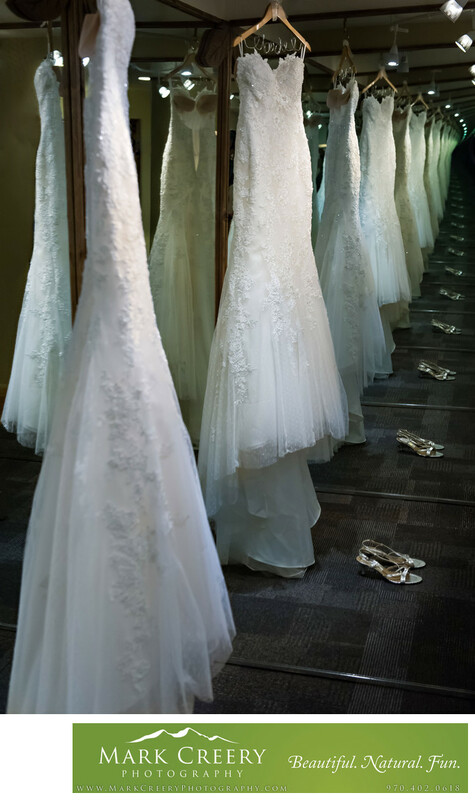 If you're looking for a wedding gown, bridesmaid dresses, accessories, tuxedos or prom dresses in Colorado check out Dora Grace in Fort Collins. I highly recommend them! The happy bride! Yay, it was all worth it!